When my mother turned ninety, I asked her to put together her fantasy menu for breakfast, lunch, and dinner. 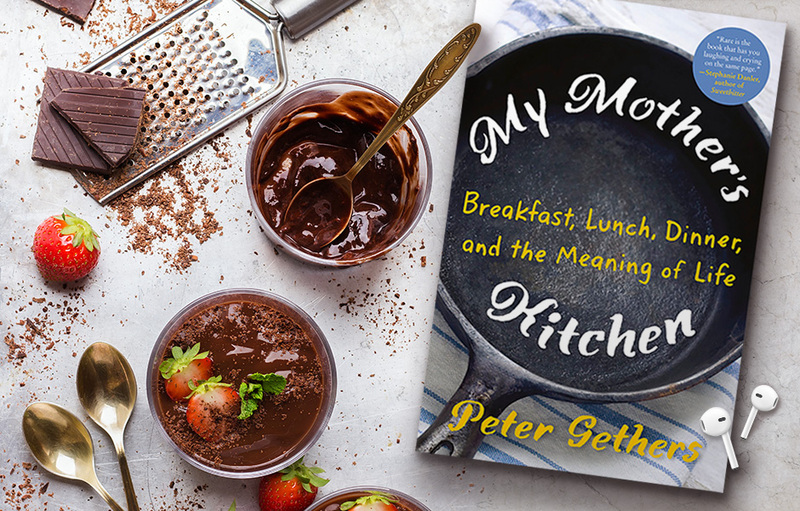 My mom was an important person in the food world—a cookbook writer, a cooking teacher, and a mentor (and, in a way, a second mom) to such chefs as Wolfgang Puck, Nancy Silverton, and Jonathan Waxman. Each recipe was selected not just for its taste but for its emotional resonance. For instance, the salmon coulibiac I write about in MY MOTHER’S KITCHEN was the first thing that Wolfgang Puck ever taught my mother to make. The matzo brei was from my mother’s family’s restaurant, Ratner’s, and was something she used to make for me when I was a child. While cooking these dishes for my mom, we talked about her life, about our family, and even about death, as we realized it was something that was approaching. My mom was an inspiration not just to me but to many others. Toward the end of her life, food was an important connection for her to the past as well as the present. And it became an important connection for me, too. The recipe I’m sharing is as simple as a recipe can be: chocolate pudding. A woman named Louise Trotty used to make it for me and my mother when I was a young boy and my mother was in her forties. I made it for my mom before she died, and it transported both of us to a simpler time. In a heavy saucepan, combine the sugar, cocoa, cornstarch, and salt. Gradually add milk. Bring to a boil over medium heat; boil and stir for 2 minutes. Remove from heat, and stir in butter and vanilla. Spoon into individual serving dishes. Chill until ready to serve. Author’s advice: Skip the chilling part. Eat warm with a wooden spoon. I promise that it will have the delicious taste of childhood. Peter Gethers is an author, screenwriter, playwright, book editor, and film and television producer. His eleven previous books include The Cat Who Went to Paris, the first in a bestselling trilogy about his extraordinary cat, Norton. He is also the cocreator and coproducer of the hit off-Broadway play Old Jews Telling Jokes. He lives in New York City, Sag Harbor, New York, and, whenever possible, Sicily. 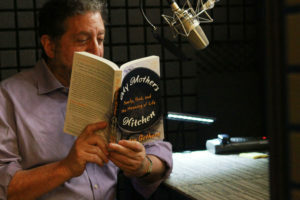 Check out our Delicious Listens collection to see some great audiobook suggestions to listen to while you cook! 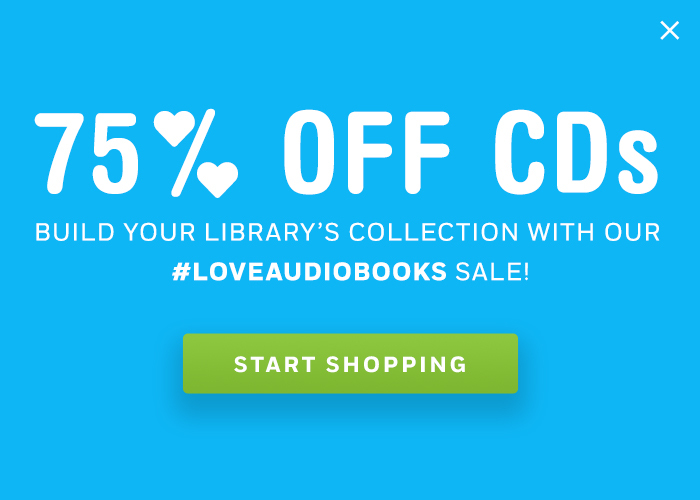 June’s LibraryReads Are Perfect for Summer Listening!